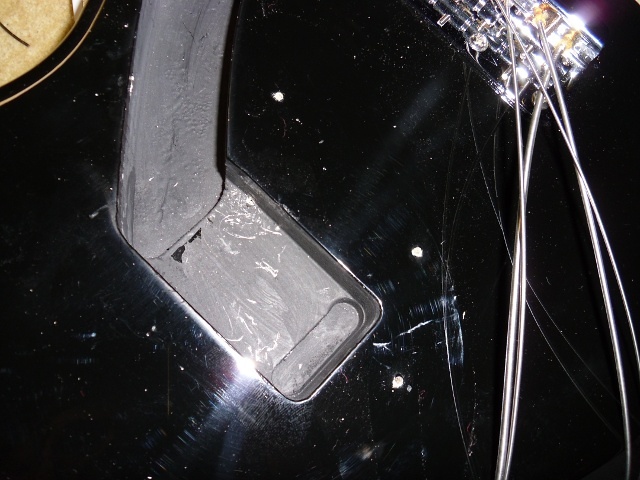 as posted elsewhere, i bought a squier bronco bass on sale at mf for $135/delivered and upon arrival i immediately ripped out the cheesy electronics and crap strat pickup. 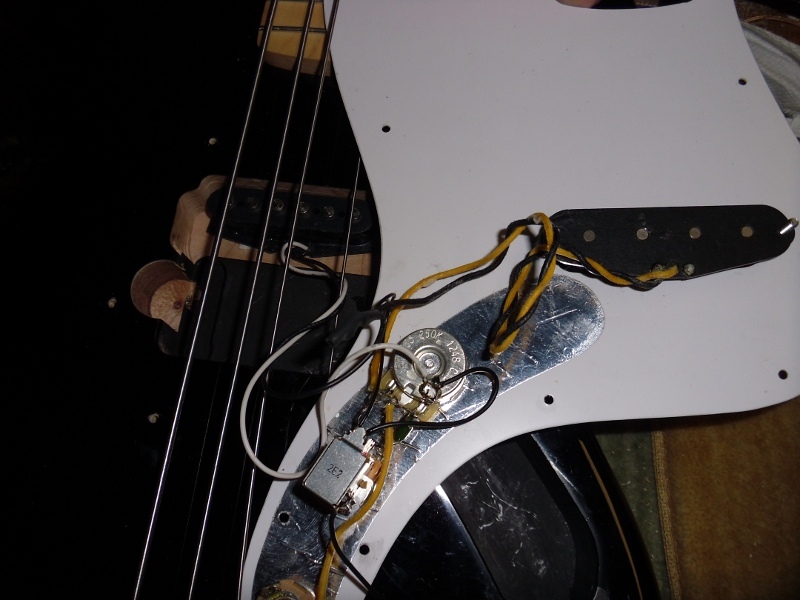 installed cts pots and a switchcraft jack, then wound a '51 p-bass pickup and modded the pickguard to accept it. the kinda junky tuners were replaced with sealed wilkinsons - they're a bit smaller than standard elephant ear bass keys and the smaller size just looks more in line with the shorter scale bass. flipped the huge chrome pot knobs for strat knobs. installed a set of 105-45 dr flatwounds and a cut a vintage bone nut. 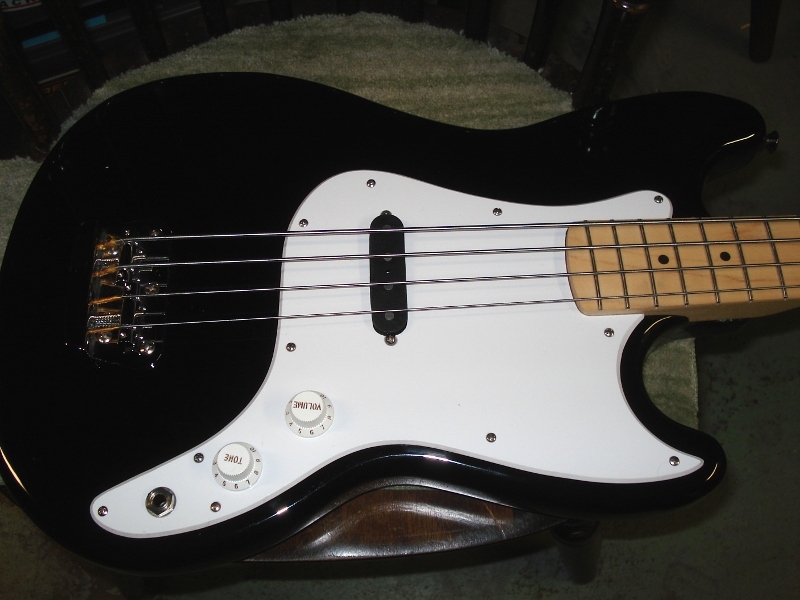 ok, really digging the bass so far - lots of "thump" and yet some good treble, too. that neck is just excellent and didn't require a level and crown. so what next? 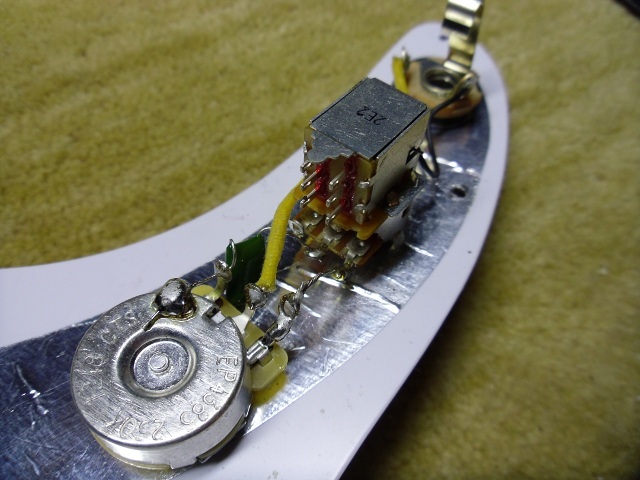 let's quiet the beast a bit by installing a switchable dummy coil. these coils are "dumb" in that there's no magnetics - just a coil of wire. 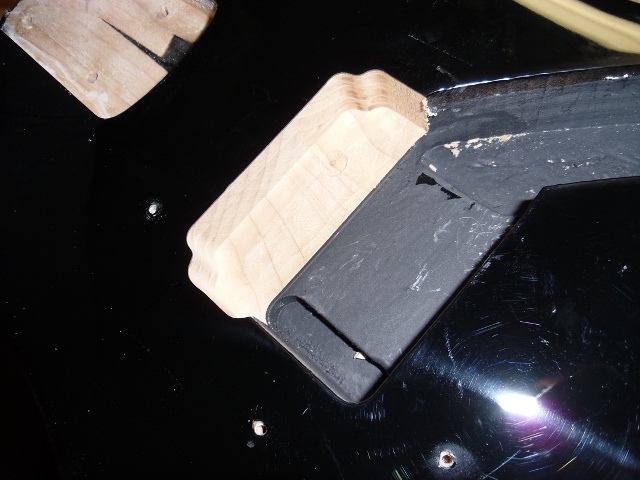 i used a cheap asian strat pickup and knocked off the under slung ceramic magnet, but left the ferrous non-magnetic pole pieces. 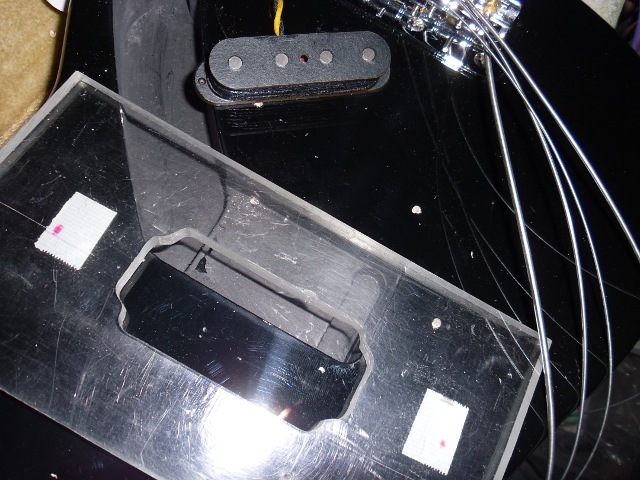 i replaced the tone pot with a push/pull 250ka pot so that if need be i could turn off/on the dummy coil.